Do you work hard and play hard? The Ford Super Duty 350 can handle your toughest jobs. If you’re searching for a Ford 350 anywhere in northeastern Oklahoma, come see us at Vance Ford Lincoln in Miami, Oklahoma. We are known as the premier dealership in this part of the state. We know trucks. 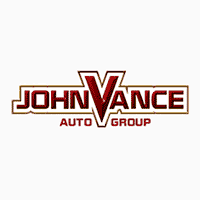 For more than thirty years, Vance Auto Group has been faithfully serving Oklahomans by helping them find the perfect vehicle for their needs. We take care of you like small town neighbors but we have a big city inventory. We continue to be committed to Oklahomans for years to come. The Ford 350 hauls more and tows more than any other pickup truck in its class. The Ford Super Duty can handle the most challenging job to the heavy everyday work you do. J.D. Power named the Ford Super Duty 350 the Highest Ranked Large Heavy-Duty Pickup in Initial Quality. Ford has minimized the body weight of the previous-generation Super Duty to give even more brawn with high-strength, military-grade, and aluminum alloy. Then they reinvested the weight savings in a stronger high-strength steel frame and chassis components. Finally, Ford put the muscle where it really counts so the Ford 350 will work for you on a tough job site or on rugged off-road terrain. The Super Duty enables you to be more efficient by equipping you with the most powerful truck as well as a comfortable cab for you and your crew as you get to the job site. It will also become your office on wheels. Stay connected and productive with available technologies such as BLIS (Blind Spot Information System) with Cross-Traffic Alert and Trailer Tow, Trailer Reverse Guidance and SYNC 3. If you work after dark, there are LED Lights in the bed. Check out Ford 350’s camera systems with up to seven cameras available including views to keep an eye on your cargo, trailer, and hooking up a goose neck hitch. These are optional features you can get on any Super Duty from the base XL to the top-of-the-line Limited model. We know you work hard—and you need your truck to work hard. The Ford Super Duty 350 offers Sync 3 voice-activated technology for navigation, connection, Ford Pass, and Wi Fi that can connect up to 10 devices. Come check out the Super Duty 350 and see how this amazing truck can improve your productivity, safety and workload. Vance Ford Lincoln in Miami, Oklahoma is on mission to help you get the job done. We love serving our Oklahoma neighbors in northeastern Oklahoma and surrounding areas.